Hi! 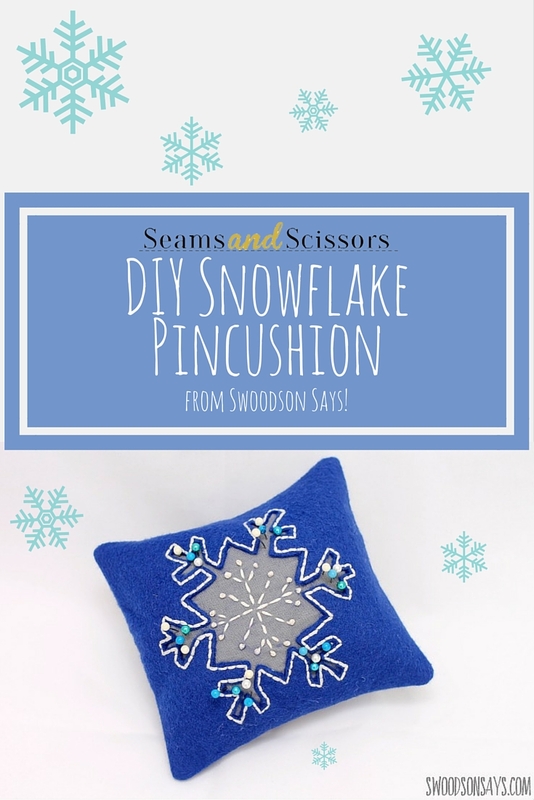 Stephanie from Swoodson Says again, back to share a fun pincushion tutorial. Winter has hit hard where I live in Iowa, so I figured if I can’t beat it I might as well stitch it! 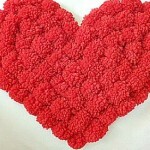 If you’re looking for other cold weather projects, I have a fun no-sew cowl or maybe some upcycled heart handwarmers! 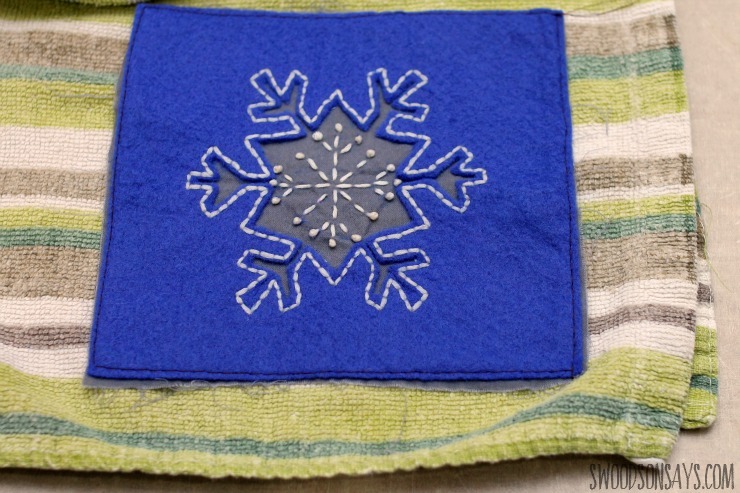 Reverse applique is one of my favorite techniques for kid’s shirts, but it can also jazz up simple home dec projects. 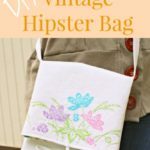 Embroidery is definitely a cold-weather hobby – easy to do while snuggled up under a blanket instead of hauling downstairs to the sewing machine! 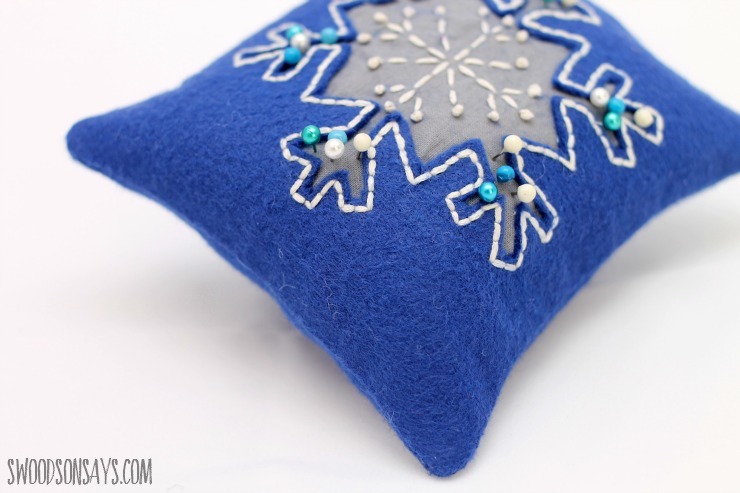 This pincushion is simple but beautiful, and the pin heads look like added design elements. 1. 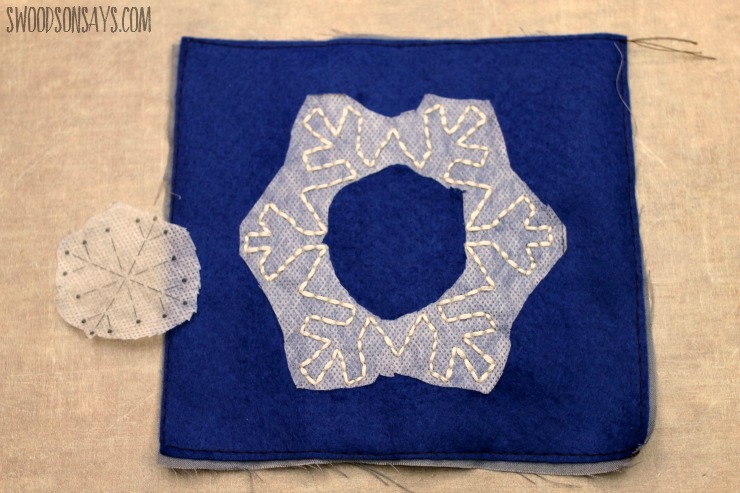 Transfer the snowflake pattern to one of the felt rectangles’ right side, and center it. Baste one of the cotton rectangles’ wrong side. 2. 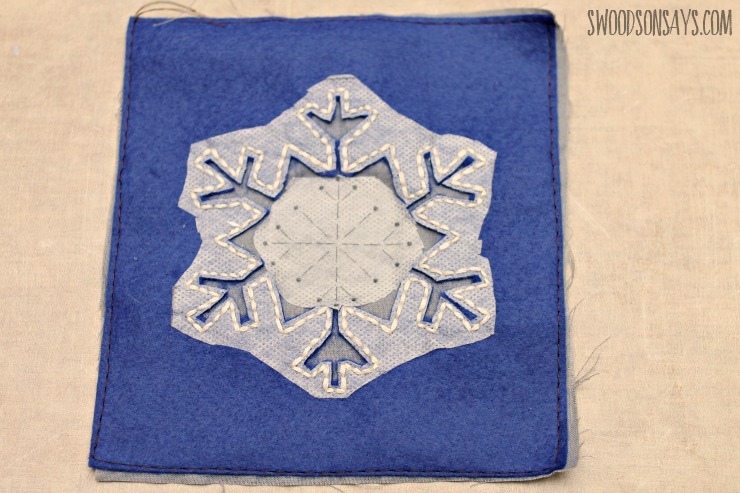 Stitch the outer snowflake with a back stitch (both patterns were stitched with the full 6 strands). 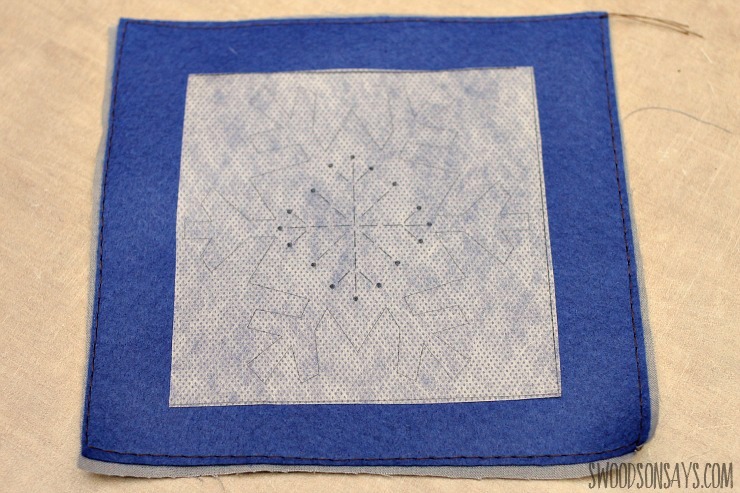 I used Fabri-solvy, so I then trimmed the inside stitch pattern out and set it aside. 3. 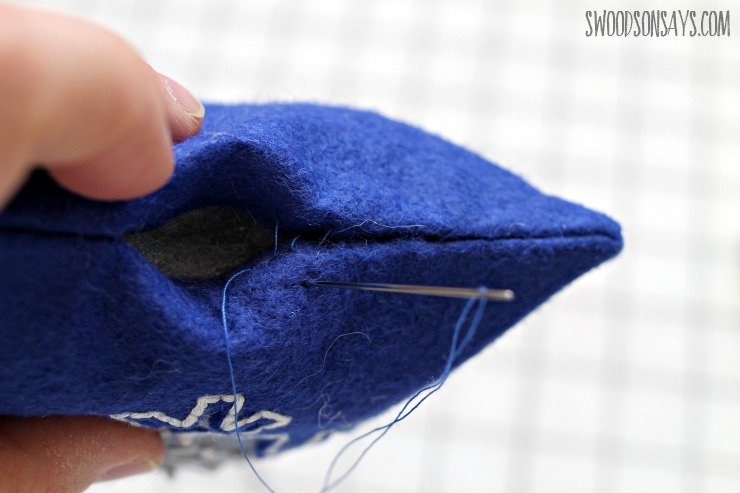 Use your tiny scissors and carefully snip through the top layer of felt, inside your stitching. 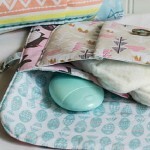 Be sure not to pierce the bottom cotton layer or cut through any of your stitching. 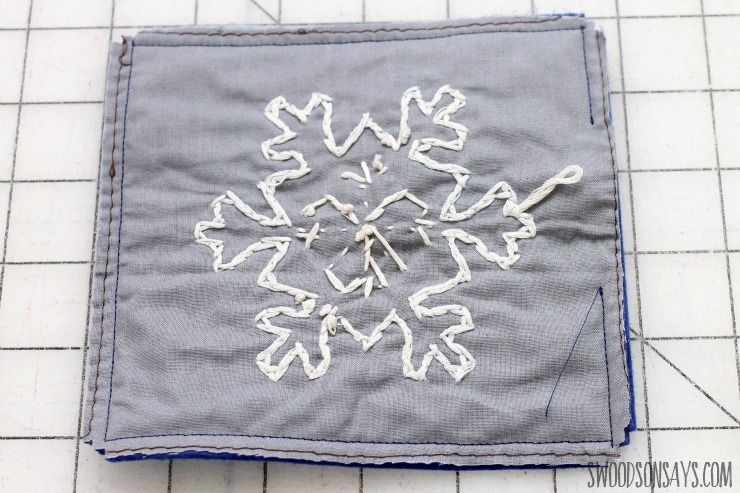 Replace or trace the inner snowflake pattern on the exposed woven cotton center, and stitch with a combination of backstitch and French knots. 4. Wash all transfer markings out/off, pat gently, and leave out to dry. 5. 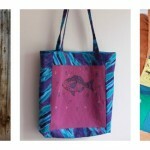 Put your stitched rectangle right sides together with the other felt rectangle and sew with ¼” seam allowance. 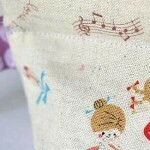 Leave about a 2” opening, backstitching at beginning and end. 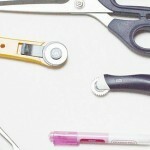 Trim the corners off. 6. 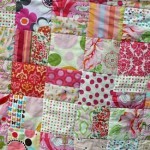 Turn right side out and poke out the corners, pressing all of the seams. 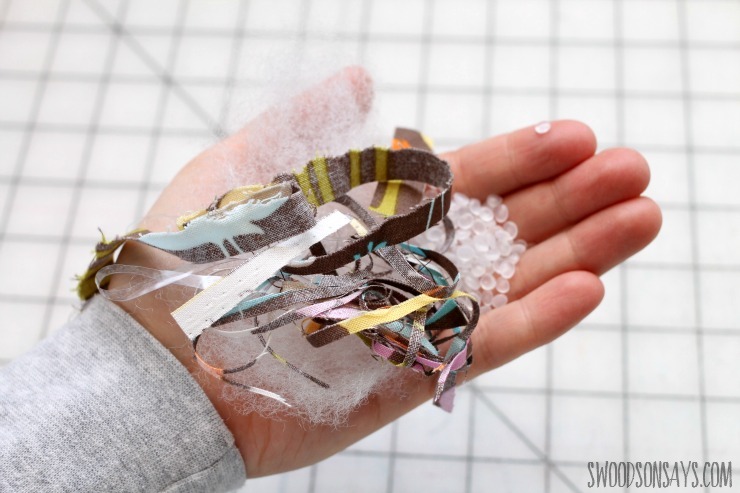 Stuff; I use a combo of poly-pellets, poly-fill, and fabric scraps. 7. 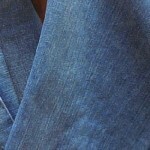 Tuck the raw edges inside, press, and use a ladder stitch to close the opening.